More now than ever before, brands in all categories are being challenged to use packaging and processes that reduce emissions, minimize waste, and consume fewer natural resources. We help brands do this by focusing on the Five P's – Partners, People, Process, Product, and Purpose. For more than 60 years we have collaborated with brand owners to design and deliver packaging solutions and manufacturing processes that are sensitive to the environment and the communities they target. Printpack uses the latest technology and most advanced high-performance materials together with source reducing package design to deliver on the expectations that consumers have for the brands they affiliate with. The U.S. Green Building Council is committed to a sustainable, prosperous future through LEED, the leading program for green buildings and communities. As the international trade association representing the plastics recycling industry, the Association of Plastic Recyclers (APR) is "The Voice of Plastics Recycling." 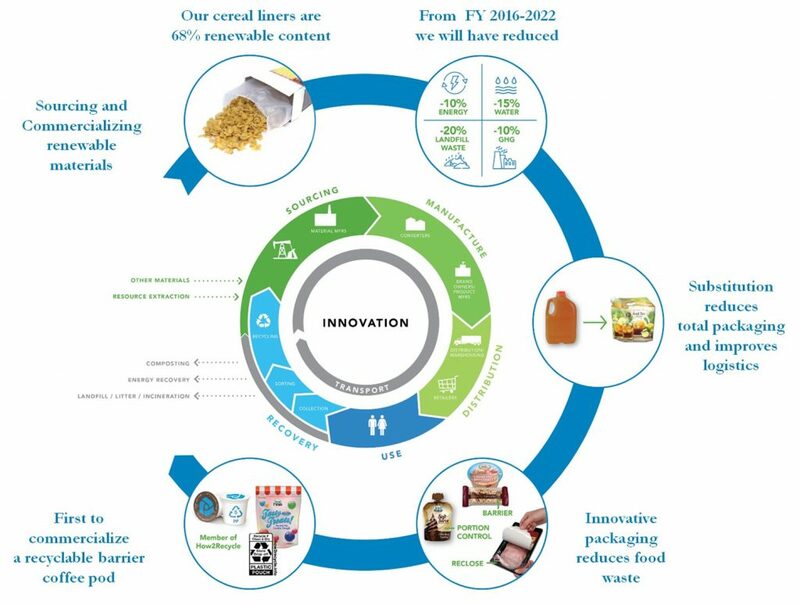 Materials Recovery for the Future is an organization laying the groundwork for the future of recycling flexible plastic packaging. Operation Clean Sweep® is an international program designed to prevent and help keep plastic litter materials out of the marine environment. There is one crucial component that has attributed to more than 60 years of success at Printpack — it's our people. Our associates work closely with customers to develop packaging that will safeguard their products in a way that is responsible for the customer, the communities and the environment as a whole. In our process we're committed to developing and using systems in our daily manufacturing operations that ensure the highest possible standards in plant emissions, waste reduction, and consumption of natural resources. Our purpose is to seek to be recognized as a responsible leader in the design and development of both packaging and operational processes to promote a more sustainable business proposition.